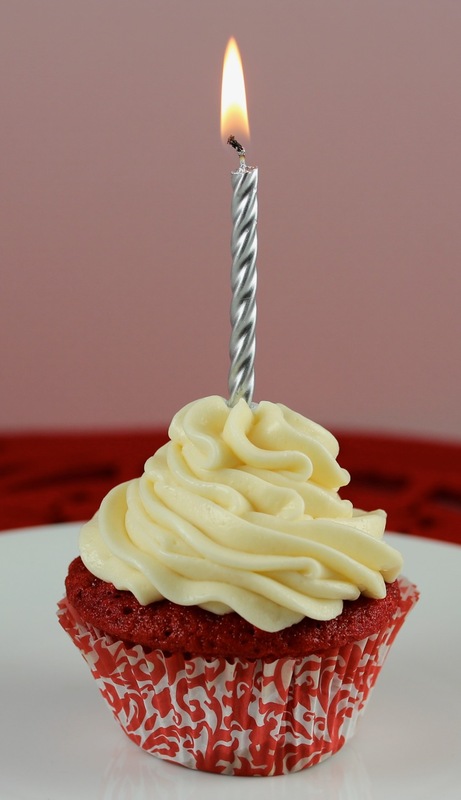 This is a simple cream cheese frosting that I use for cakes, cupcakes and muffins. It is very creamy, spreads like a dream and is not too sweet – but sweet enough! As you can see in the photo, it pipes quite wonderfully (it is sitting on top of Red Velvet Muffins). 1. In a large bowl with an electric mixer on medium-high speed beat cream cheese until smooth, about 2 minutes; you want to eliminate any lumps. Add butter and beat on medium-high speed until very smooth, scraping down once or twice. Add half the sugar, beating on low speed until absorbed, then beat in remaining sugar and beat until smooth and creamy. Frosting is now ready to use. Best if used immediately; may be refrigerated in an airtight container for 4 days. (Bring to room temperature and re-beat after storing).